This is a 3 BR/2 BA condo at the Plantations (West side of 1D) on Plantation Road (1 D), which is parallel to and just west of route 1 at Lewes, DE. Convenient to Lewes and Rehoboth beaches, our tax-free Delaware outlets, restaurants, and theaters. Gated community with lots of landscaped greenery. Short term memberships in the on-site swimming pool, tennis courts, and gym are offered and available at the Community Center - not included in rental. Condo is spacious 2100 square foot second-floor unit with vaulted ceiling, fireplace, and wrap-around enclosed and screened veranda. Separate balcony off of second bedroom. Condo is furnished with one king-bed for the master BR, a queen bed for the second bedroom, and two twins for the third bedroom; additionally the living room sofa pulls out to a queen bed. Fully equipped kitchen and washer/dryer laundry in unit. You'll love the custom-built walk-in closet of the master bedroom and all the sliders that lend such openness to the unit. Photos below show the condominium unit with the beautiful furnishings. Living room carpeting was recently replaced. This property is located on route 1D which is much less traffic than route 1. What sold me on the Plantations is all the greenery and spaciousness. It is quite convenient to both Lewes and Rehoboth. The condo is convenient to downtown Lewes, downtown Rehoboth and the outlet stores. It is very roomy and the kitchen is well equipped. It is on the second floor if that bothers anyone. The tv could be bigger. Very nice closet in the master bedroom. The owner is very responsive and easy to deal with. I would definitely recommend staying here. We had a great time in this roomy condo. The community is very nice. Had to pay separately for the pool but we knew that going in and got plenty of use out of it. three bedrooms was nice and the master was very large. We would go back. The owner was accessible and very helpful. Spacious condo with plenty of room to relax. Loved the porches. Nicely decorated, comfy beds, clean. Well equipped kitchen. No maintenance issues, everything in working order. Quiet area with pleasant neighbors and lots of trees and plants. Easy drive to beaches, shoppIng, restaurants. Owner very nice. Good communication, no hassles. Recommended. Would definitely rent again. 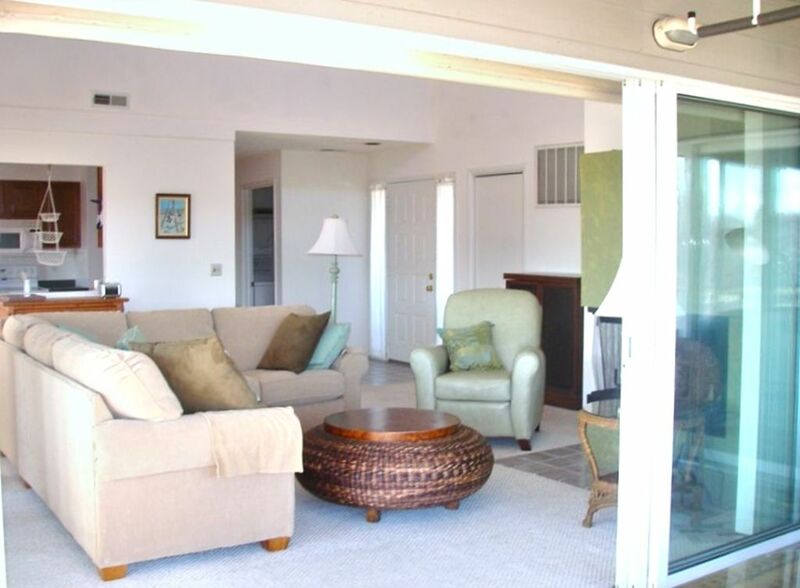 This condo was perfect for our week long family vacation! It had everything we needed! The condo was very clean and taken care of. The location is close to everything down the beach. One thing we really loved was being able to cook meals at the condo. Great memories were made! We would definitely stay here again! Thank you Mary! Great cozy place for family vacation!!! The owner was very accommodating! Had a great experience in this condo and Mary was great to deal with! The location is very good and it was a very accommodating place for our vacation. Mary answered every question I had in detail as well. Would absolutely rent again!